Soap, cleaning detergents and water equal a slippery floor. This is a common scenario in a bathroom. Because of this, disabled, as well as people with immobility issues can fall easily in a bathroom. This could lead to serious injuries or worse death. You can avoid these risks by investing on a shower transfer bench. 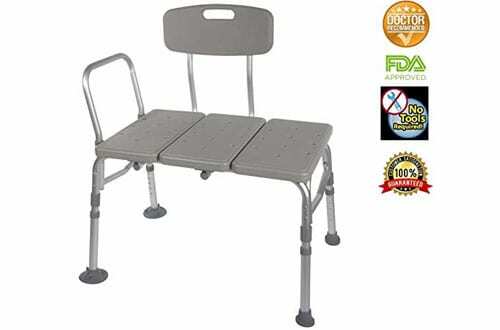 These benches assist people with poor balance or lower body injuries shower safely. 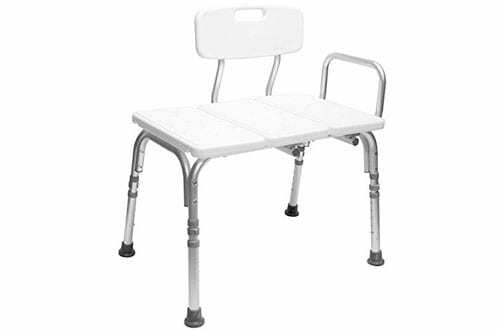 Besides offering support and stability, these benches also help you relax when showering. Picking any of these best shower transfer benches offer you with self-confidence and independence. By increasing your independence, you can now bath safely. This will also mean that you won’t require help from your caregiver. 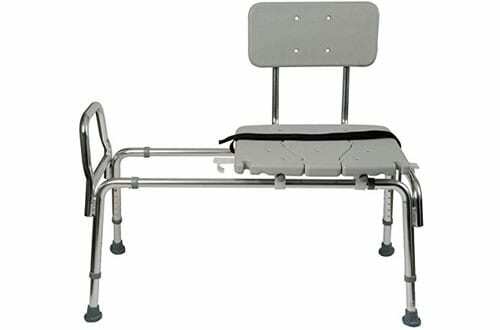 Upgrade your bathroom with this transfer bench from Drive Medical. Thanks to its innovative design, this unit is a great choice for anyone who is struggling to get to and from a shower. It comes with a reversible bench an extension leg that has large suction cups. This enables it that helps it lock in place for added safety and versatility. Additionally, the branch also features a tool-free assembly for seamless bathroom installation. Duro-Med Tub Transfer Bench is Build to offer you superior safety when entering and exiting a shower. 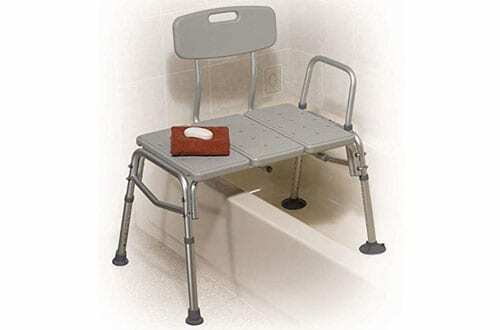 This gives people with mobility issues the independence they need when bathing. It comes with a safety belt that holds you securely to prevent accidental slipping. Similarly, it has height adjustable legs with anti-slip rubber feet that offer extra stability. More to this, the chair also comes with a blow-moulded backrest that adds comfort and safety. 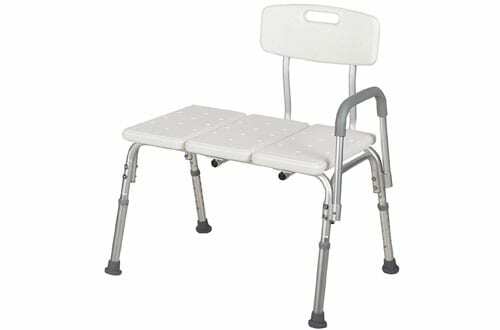 This Transfer Bench is a perfect bathroom aid for individuals with painful mobility challenges. It has a tool-less height adjustment feature that allows it to fits most tubs and showers. For enhanced durability, it is constructed using rustproof aluminium. Additionally, you will love water shedding soft padding. This padding offers a comfortable feel, unlike the standard hard plastic models. The Medline Microban transfer seat comes with innovative antimicrobial protection. This gives the product an extra level of protection to fight bacteria, mildew, mould, and stain. 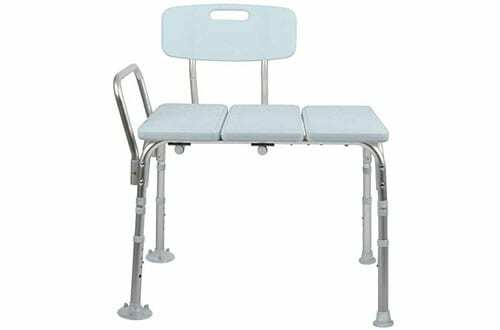 The bench also comes with a wide base and suction cup tips on both legs to offer extra safety and stability. Moreover, the seat comes with drainage holes that prevent slipping. Similarly, this unit comes with an adjustable height allows you to set it at your desired height. Boasting of a rounded end design, this bench allows for a simple transfer from a wheelchair to the shower. It comes with a sturdy frame that is crafted from a solid and rustproof aluminium. The legs are fitted with wide grips to enhance your stability. 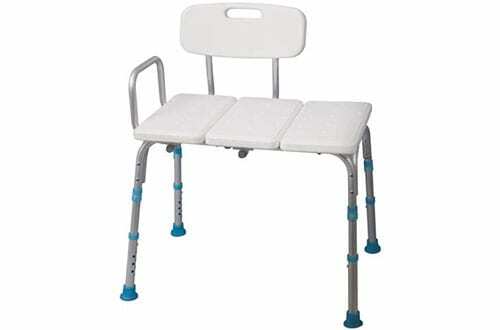 Additionally, this unit has an adjustable seat that comes with five levels setting. This will allow you to set the seat to your desired height. Above all, the bench has an impressive 250lbs capacity that accommodates most individuals. This bench stands out thanks to its anti-corrosive and lightweight anodized aluminium construction. Thanks to the sturdy design, it offers you the stability that you need when showering. The bench comes with a moulded back and seat that offers you with superior support and comfort. Additionally, the seat features drainage holes that reduce slipping. Plus, the legs are angled and comes with suction tips for added stability. 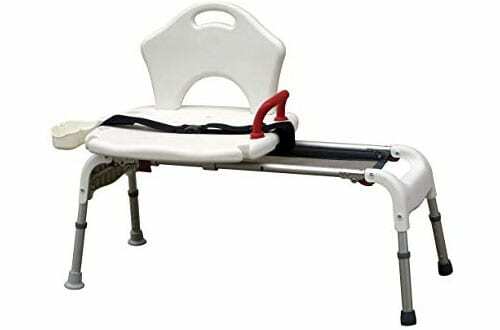 The Carex Tub Transfer Bench is engineered to offer superior support and security. This bench comes with aluminum legs making it not only sturdy but also lightweight. It also comes advanced features that are hard to find on other models. It comes with a space for shower curtain placement and a height adjustable seat. Thanks to the intuitive design, this model is easy to use in most bathrooms. 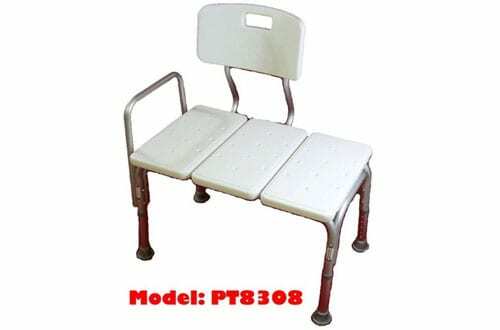 Besides, this unit comes with adjustable legs that sit flat for enhanced stability. This sliding transfer bench will allow for simple movement in and out of the shower. The high-end aluminium frame construction makes it not only durable but also lightweight. The bench has an anti-slip seat surface that is filled with drainage holes to ensure your safety. Additionally, we love the height adjustable stand with rubber tips to prevent skidding. The Aquasense shower and bath transfer bench offer you with a safe and easy slide over the bathroom wall. Coming in an innovative design, this bench features a knocked down and blow moulded design. This makes it fit all types of bathtubs. This unit also comes with nine-seat adjustable levels, enabling easy customization. More to this, the bench also comes with an armrest that ensures safer transportation. Also, it comes with a textured backrest and seat that prevent sliding. 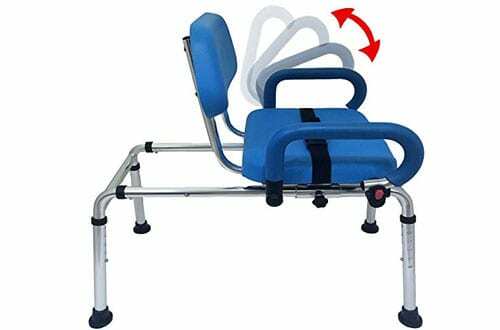 What’s more, this unit comes with a revisable backrest and non-slip latex free safety tips. This enables it to accommodate both right and left transfers.